Last week all of us have witnessed the best performances of top 24 players from all across the world in the first championship of 1st ACBS Asian Tour 10Reds Snooker 2018 held at QBSF Academy, Doha, Qatar. This newly introduced format has gained huge popularity and great success. The championship liked by the players at most. Now to accelerate this crisp format of best performances, we are moving to second championship of this Asian Tour 10 Reds Snooker 2018. 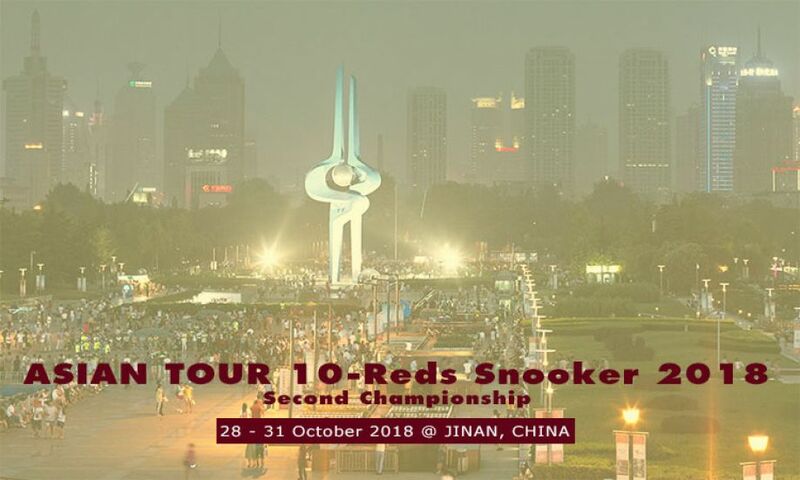 The dates and city of the second championship have now been finalized and this will be played in Jinan, China from 28th till 31st October 2018. All players must reach Jinan by 27th October. Details of hotel accommodation and Visas will be sent to all selected players separately. IBSF and ACBS are thankful to Chinese Billiards and Snooker Federation for hosting the second championship in Jinan, China. Good luck to all players and we all meets once again in Jinan, China.